Although we officially celebrate our planet Earth for one day each year in April, at Goodwill we take care of our planet every day. Just as we appreciate and value the life-changing donations we receive, we are just as dedicated to doing our part to conserve our planet by making every possible effort to upcycle and recycle responsibly. We hope to one day be a zero-waste organization and we are well on our way! In 2017 we kept more than 16 million pounds of reusable goods and more than 1.2 million pounds of e-waste out of our landfills. With the help of our community, we can all think beyond this date on the calendar and take steps to preserve our environment every day of the year. If you have donated to one of our thrift stores or bought something previously loved, you’ve already helped in a small way! When you think of donating to Goodwill, you probably think about dropping off donations after sorting through your closet but did you know there are many other things we can help you get rid of responsibly? Have a drawer or closet full of old computers? You likely don’t know what to do with them since these items likely contain important personal information. Goodwill partners with Dell Reconnect to recycle used computer equipment and we are also equipped to recycle many other electronics. The good news for your personal data is that we are R2 Certified, meaning we’re dedicated to the safety and security of any sensitive information and are equipped to safely destroy your information before repurposing or recycling your donation. Donated tech items that are reusable are refurbished and sold at a deep discount at Palmetto Goodwill’s Computer Works Store in North Charleston – a great way to score new laptop at an affordable price. Reduce. Decrease your overall consumption by shopping with a purpose. Before you head to the nearest big box store to buy new, consider shopping second-hand. Whether you need a new blouse, tie, or blender, many thrift store items still have a lot of use in them. You’ll feel good going green and saving some green! Reuse. From your wardrobe to home decor, there are also many creative ways to upcycle used items or things you already own. You’ll give things a new life and reduce waste. Recycle. You should be recycling paper and plastic whenever possible, but we’re encouraging you to think beyond the bin. When you’re clearing out your closet, cabinets, and garage, don’t just throw away items. Bring them to a Goodwill location near you. Chances are someone else can use what you no longer need or it can be recycled and won’t end up clogging our landfills. Wondering what happens after you drop your items off with us? Check out this blog post for a quick rundown. We hope you’ll join us today and every day in working toward a planet that will remain beautiful for generations to come. 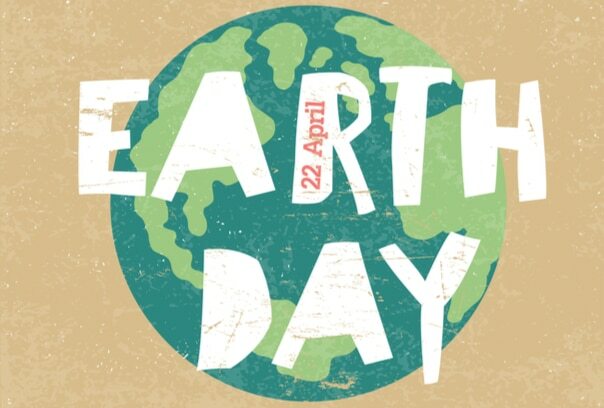 Happy Earth Day from our green Goodwill family to yours!